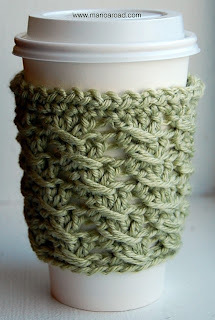 I stumbled upon these adorable knitted coffee sleeves from ManoaRoadCafe on Etsy. They are handmade by Jane O, and very reasonably priced. Perfect for an undeniable coffee addict like me. See her blog here and her Etsy store here. OMG! These are too cute - I love them. 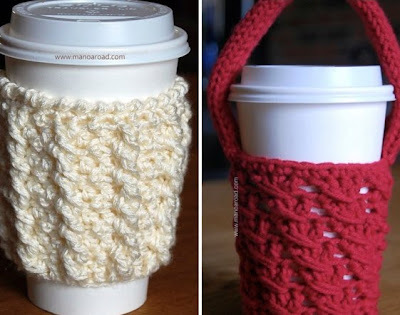 Makes me wish I was sipping on a hot beverage right now (well, the cute holders and the horrible weather outside).